Neck and Spinal Injuries | Kline Law Offices P.C. The human spine is a remarkable structure composed of thirty-three individual vertebrae separated by intervertebral discs. Each disc has a firm outer layer and a jelly-like core. Most of the vertebrae are fully flexible, or articulating. The last nine, which comprise the sacrum and coccyx (or "tailbone"), are fused and inflexible. Running the length of this structure is the spinal cord, which is made up of nerve cells and groups of nerves. The spine is vulnerable to a range of injuries that can result in anything from mild backache to paralysis. Injury to the spine may affect other areas of the body. One of the more common areas of injury is the lumbar spine (the lower back). Damage to the nerves of the spinal cord of the lumbar spine may affect the corresponding areas below the injury site and affect bowel and bladder control, or sexual function. Damage to the spine can manifest in a variety of sensations—burning, stabbing, throbbing, tingling, numbness, or even an electric-like shock—in the hands, feet and limbs. Common injuries caused by trauma include herniated, protruding or bulging discs; annular tears; and fractured vertebrae. Insurance companies often attempt to avoid paying claims by blaming symptoms on degenerative changes caused by age or old accidents instead of trauma caused by the insured person’s negligence. It is possible to have degenerative changes that are asymptomatic for years, but become symptomatic following a traumatic event like a car wreck. The negligent party is no less liable for exacerbated injuries than for newly-inflicted ones. If a medical condition such as osteoporosis or arthritis has weakened the bones, even a minor accident can cause major damage. An experienced attorney can evaluate the medical evidence and craft persuasive arguments to support a claim for traumatic neck or spinal cord injury. Treatments for back injuries are as varied as the causes. For some injuries, appropriate treatment may be as simple as the application of heat and ice and avoiding unnecessary movement; for more serious injuries, surgery may be necessary. Only a physician can determine what care is appropriate. However, if the injury was caused by someone’s negligence, an experienced attorney can ensure that all financial resources are identified to help pay for medical care, and that all appropriate parties are held accountable. Medical Expenses: When you suffer a neck or spinal cord injury as a result of someone else’s negligence, there may be one or more sources of insurance available to pay for your medical care. Property Damage: If the incident that caused your injury involved your car, bike, motorcycle or other personal property, there may be insurance available to repair or replace the damaged property. Lost Wages: Neck and spinal cord injuries often seriously impact your ability to work. If you missed time from work as a result of your injuries, there may be compensation available for the time you missed while recovering. Loss of Future Earnings: Some people are unable to return to their previous employment after suffering a neck or spinal cord injury. In those cases, compensation can include impaired future earnings capacity. Noneconomic Damages: Also known as “pain and suffering,” this amount is meant to compensate the victim for his or her diminished quality or enjoyment of life, inconvenience, and other intangible ways the injury has affected his or her life. A neck or spine injury can lead to months or even years of medical treatment and rehabilitation, causing turmoil in your home life, job and potentially with your finances. Competent and compassionate legal advice and guidance can allow you to focus on healing. Rob Kline is a highly experienced Portland personal injury attorney. Call today to get a free, confidential case evaluation. 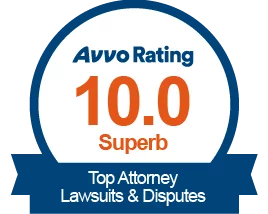 © 2018 Kline Law Offices P.C. All rights reserved.